Eggs are a traditional food, and they are one of the most nutritious foods in the human diet. However, there are some who suggest that eggs may not be a healthy choice. Primarily, most of these concerns involve the cholesterol and saturated fat content. This article takes a look at the evidence to answer one question; are eggs good or bad for us? In the culinary context, eggs are a traditional food eaten by humans and many other animals. Females from several different species can lay eggs, such as birds, fish (roe/caviar) and reptiles. However, for this article, we will focus on chicken eggs – the most common variety. 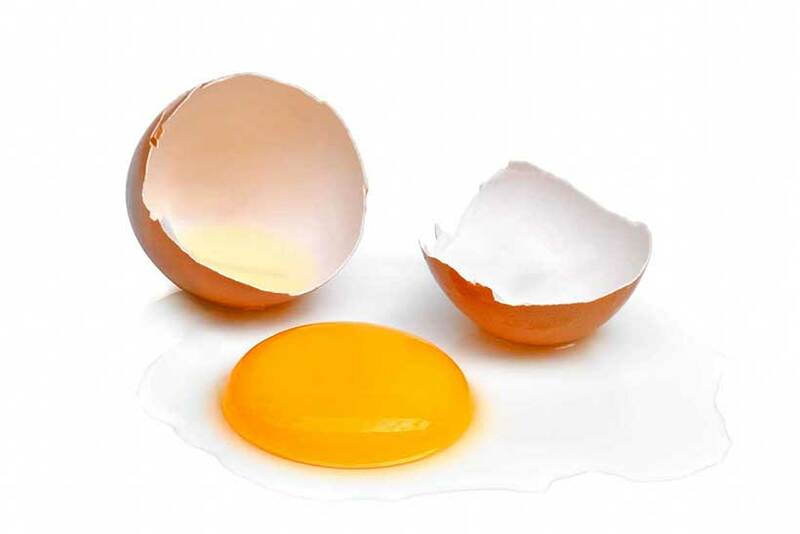 Eggshell: Primarily calcium carbonate and protein form the hard outer shell of eggs. Membrane: this is the clear film-like lining that you can find inside the shell. It mainly consists of collagen. Albumen: more commonly known as ‘egg white,’ albumen is approximately 88% water and 11% protein (1). Yolk: The center of the egg is called the yolk, and depending on the chicken’s diet, it can vary between a pale yellow and dark orange color. This pigment comes from antioxidant compounds such as lutein. Egg yolks are a mixture of fat and protein. Key Point: Eggs are a traditional food that provide a mixture of fat and protein and minimal levels of carbohydrate. Below you can find the full nutritional values for eggs including their calorie, macronutrient and micronutrient profile. The nutrition profile is per 1 large egg (2). There are 71.5 calories in one large egg, which makes eggs a relatively low-calorie food. Eggs also contain minimal levels of carbohydrate, with one egg providing only 0.4 grams of carbs. In contrast, eggs contain quite a large amount of dietary fat and this mainly comes from monounsaturated fat. The omega-6 to the omega-3 ratio in typical eggs from caged or grain-fed chickens is quite high. However, pasture-raised (or supplemented) chickens contain much higher concentrations of omega-3. Eggs are incredibly protein-dense, and one egg contains 6.3 grams of protein. As shown below, one large egg contains a significant amount of vitamins and minerals. The table shows these micronutrients in order of concentration. As we can see, eggs are a rich source of many nutrients but particularly selenium and B vitamins. Eggs are also the most significant dietary source of choline, an essential vitamin-like nutrient. It is worth noting that these nutritional values are based on one egg, such as a boiled or poached egg. On the other hand, be aware that cooking methods like frying or scrambling with milk/cream will add extra calories and nutrients. Key Point: Eggs are rich in vitamins and minerals, a good source of protein, and they contain minimal calories. Firstly, eggs are a substantial source of dietary cholesterol. Over the past decades, public health advice urged the public to restrict egg consumption because of this. However, there was never any substantial research that justified this restriction. For one thing; our liver is continually manufacturing cholesterol because it is essential to our health. The more dietary cholesterol we eat, the less our liver produces. On the positive side, the official advice relaxed with the introduction of the 2015-2020 dietary guidelines. “Previously, the Dietary Guidelines for Americans recommended that cholesterol intake be limited to no more than 300 mg/day. The 2015 DGAC will not bring forward this recommendation because available evidence shows no appreciable relationship between consumption of dietary cholesterol and serum (blood) cholesterol. Cholesterol is not a nutrient of concern for overconsumption”. A systematic review of 40 studies that featured 361,923 participants found that dietary cholesterol is not significantly statistically associated with coronary artery disease (4). A recent review of clinical studies on dietary cholesterol and eggs demonstrated that dietary cholesterol has no negative effect on the cholesterol profile. Additionally, that dietary cholesterol may improve cardiovascular risk factors by making LDL particles less atherogenic (5). Key Point: Studies show that cholesterol in food is not associated with adverse changes to cholesterol within the body. Another common concern people have about eggs is their saturated fat content. However, there are two things to note here. Firstly, eggs contain surprisingly little saturated fat; one egg provides only 1.5 grams. Interestingly, the saturated fat content of these foods is barely discussed, so it is confusing how some people mention this as a negative point about eggs. Secondly, saturated fat is not “bad” for us; it is merely one kind of fat that naturally occurs in most food, which also has beneficial functions in the body. Further, rigorous science demonstrates that saturated fat is not the dietary demon we once thought it was. Several systematic reviews find no notable relationship between saturated fat consumption and cardiovascular disease (9, 10, 11, 12). Key Point: In reality, eggs do not contain much saturated fat, and this dietary fat is unlikely to cause harm at sensible consumption levels anyway. In modern nutrition, there is often an over-focus on calories and macros and too little emphasis on nutrient-density. Nutrient-density can be defined by the amount of nutrients food offers compared to its caloric value. A nutrient-dense food is one that provides a range of beneficial nutrients, but relatively little calories compared to this nutrient provision. For example, cola is quite high in calories and provides no beneficial nutrients, so it is not nutrient-dense. Eggs, on the other hand, are jam-packed with nutrients and provide a wide range of vitamins and minerals per calorie. And all this comes in a small package of only 70 calories. Since eggs also offer fat, protein and several other health benefits, eggs are hard to beat for nutrient-density. Key Point: Eggs are incredibly nutritious and contain almost every essential vitamin and mineral. Eggs are extremely satiating and help us to feel full for a longer period of time. One study showed that, after a breakfast of eggs, overweight participants felt full for longer compared to those eating a bagel breakfast. Interestingly, in this study, the energy intake of the participants following the egg breakfast was lower than the bagel breakfast participants for 36 hours (13). A similar study examined how a breakfast of two daily eggs compared to an oatmeal breakfast. This particular study showed that hunger hormones like ghrelin were lower following the egg breakfast. Also, the participants ate less food throughout the day than those who had oatmeal for breakfast (14). Why Do Eggs Increase Satiety Levels? While we cannot state the exact reason for the satiating effects of eggs with full confidence, we can make probable guesses. One reason why eggs enhance satiety is likely their protein-density. Protein is known to be the most satiating out of the three macronutrients, and it regulates hunger better than either carbohydrates or fat (15). For example, imagine eating 1000 calories of pizza; perhaps that is about 3 or 4 slices, and it is easily done. Conversely, 1000 calories of eggs would involve eating about 15 eggs in one sitting, which is not easy at all. Since eggs are so filling and help to reduce food cravings, they can also have indirect weight loss benefits. Key Point: Eggs have satiating properties and leave us feeling full for longer. As a result, they may promote weight loss as part of a healthy diet. Another benefit of eggs is their provision of some interesting carotenoid compounds known as lutein, zeaxanthin and meso-zeaxanthin. 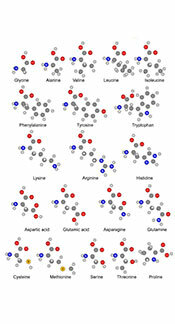 Firstly, these compounds also exist in various green vegetables, but they have much greater bioavailability from eggs. In other words, eggs are the most reliable way of increasing our serum levels of these compounds (16). These compounds have an antioxidant function in the body, and research suggests they are particularly beneficial for our ocular health. One theory for these benefits is that lutein and zeaxanthin filter blue light and help to reduce ocular inflammation. Both of these actions may help to reduce (or slow) retinal degeneration (17, 18). Various observational studies also show that higher dietary intake of these compounds lowers the risk for age-related macular degeneration (16). Key Point: Eggs contain compounds that support and promote ocular health. Since eggs contain less than half a gram of carbohydrate, they are a perfect low-carb food for individuals with type 2 diabetes (T2D). Most importantly, eggs are a high-protein snack that does not adversely affect blood sugar levels. Tight glycemic control is an essential consideration for people with diabetes, and protein can help with satiety. A recent randomized, controlled trial of 34 adults shows that including two eggs per day in the diet of T2D patients leads to weight loss without an adverse effect on glycemic control or blood pressure (19). Also, a systematic review of randomized nutrition intervention trials suggests that up to 12 eggs per week have no negative impact on CVD risk factors in T2D patients (20). Key Point: Eggs are almost zero carb, and research suggests they are a beneficial food for people with type 2 diabetes. The total amount of protein in food is not the only consideration. Also, we have to consider the bioavailability of that protein – the amount we can absorb. Markedly, the protein in eggs is more bioavailable than in any other food (21). Furthermore, not all protein is a ‘complete’ protein. A complete protein is food that contains a sufficient amount of all nine essential amino acids. These amino acids include histidine, isoleucine, leucine, lysine, methionine, phenylalanine, threonine, tryptophan and valine. Eggs are rich in each of these essential amino acids. Not only are eggs an excellent source of the essential amino acids, but they also provide a decent amount of 18 different amino acids. 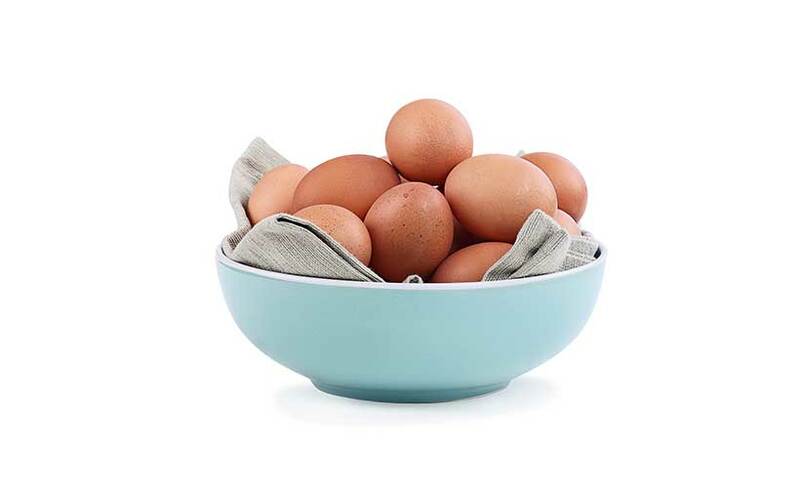 Key Point: Eggs provide highly digestible protein and contain an excellent range of amino acids. Does the Type of Egg Matter? We can find all kinds of eggs in-store. Is there a difference between caged, barn, free-range, pastured and omega-3 eggs? Eggs from chickens with access to pasture will have a higher omega-3 content and higher amounts of vitamin A (22). However, when we consider the overall nutrition profile, the difference between the egg varieties is not substantial for other nutrients. If a higher consumption of omega-3 and vitamin A is a decisive factor, then opting for pastured eggs is better. Conversely, if this is not a concern, then whichever eggs are affordable is fine. One other thing to note is the ethical side to this issue. Personally, I prefer to buy eggs from chickens that can freely range, mainly for animal welfare reasons. Key Point: The only major nutritional difference is that eggs from pastured chickens provide more omega-3 and vitamin A. How Many Eggs Can We Safely Eat Per Day? Many people wonder how many eggs per day is safe. However, no current research provides an exact answer, and saying “five eggs” or “ten eggs” would only be speculation. That said, research does show that up to three eggs per day appear to be safe. In fact, clinical trials demonstrate that this amount has health benefits. One recent study examined the effects of consuming three eggs per day for four weeks on thirty-eight healthy men and women. The overall results showed that LDL profiles became less atherogenic, “good” HDL cholesterol increased, and participants had higher blood levels of the antioxidants lutein and zeaxanthin (23). A second study again investigated the impact of three eggs per day on various health markers. This particular research involved thirty healthy men and women, and the trial lasted for 13 weeks. The findings of the study were that there is no adverse effect on cardiovascular risk factors. Additionally, higher intake of dietary cholesterol had the benefit of increasing HDL levels (24). Is More Than Three Eggs Per Day Safe? At this time, no evidence demonstrates that more than three eggs per day is safe. However, there is no evidence to suggest any harm either. Personally, I wouldn’t worry too much about an increased egg consumption, but the science isn’t there to support it – yet. Key Point: Recent trials show that up to three eggs per day has no adverse impact on health markers. Cholesterol is officially no longer a ‘nutrient of concern,’ and numerous studies demonstrate health benefits from regular egg intake. Not only are eggs safe, but they are one of the most nutrient-dense foods in the world, and the consensus from recent studies firmly suggests that eggs are good for us. As a bonus, they have the additional benefit of tasting delicious too. A well written review explaining logically the more recently discovered,facts or rethinking logically about the old known knowledge. I appreciate the clarity in the presentation. Yes right, and especially after the old “no more than 3 eggs per week” advice. Omega-3 Eggs: Are They Healthier Than Regular Eggs?